If you’re looking to begin an interior renovation project, 3 ‘n 1 Construction can help every step of the way. We believe whether you are doing a home renovation or kitchen renovation in Saskatoon, the complete home interior renovation experience should be simple, pleasant, and stress-free. Our Saskatoon and area residential construction team will help to ensure your renovations create a space you truly love, whether it is a small guest bathroom renovation or a new addition to your home we do it all.  From framing to flooring, bathroom to basements, Ken Eade and our team at 3 n’ 1 are the Saskatoon renovation contractors you can trust. 3 ‘n 1 Construction is a licensed, certified and insured roofing company serving residential and commercial property owners in Saskatoon and surrounding area. Grounded in our ethics and principles as people and as a company, we provide Saskatoon roofing services that are professionally executed and fairly priced. Your home is much more than a place of shelter. It is a reflection on you and your family’s personal tastes and individual style. Your house is something to be proud of and enhancing its curb appeal is an ongoing, exciting process that pays a return in the long term. Consider the addition or updating of siding, soffits and fascias. They add the perfect touch of refinement while playing an important role in your home’s structural integrity and offer your home a refreshed, updated appearance. Ken and the 3 ‘n 1 team of exterior experts are your go-to for framing, siding, eaves, soffit and fascias in Saskatoon. Quality window and door installation services by 3 ‘n 1 Construction. We install vinyl windows, casement windows, awning windows, single and double hung windows for homes in Saskatoon and the surrounding areas. We also provide a variety of overhead door options for your garage, as well as interior and exterior entranceway doors. Contact us for more information about replacement windows and doors or repairs for your home or business. Spend your time and money wisely by choosing the best Saskatoon window and door installation company for your budget by reaching out to Ken and the 3 ‘n 1 team.